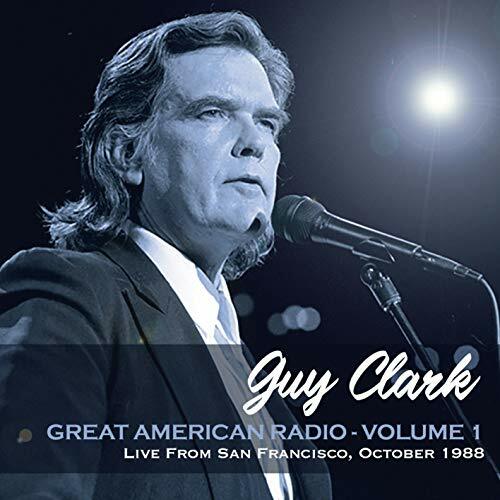 Despite his passing a couple years ago, fans of Guy Clark have a new live project to look forward to in the form of a live album- a brilliant performance at the Great American Music Hall. The album includes the entire concert broadcast and it has been digitally remastered for enhanced sound quality. The project was recorded in October of 1988. Although he was never a prolific recording artist, the legendary Guy Clark was one of the most esteemed singer-songwriters of his generation. He released more than twenty albums, and his songs have been recorded by many other artists including Jerry Jeff Walker, Jimmy Buffett, Lyle Lovett, Ricky Skaggs, Steve Wariner, Jack Ingram and Rodney Crowell. Originally broadcast on KSAN-FM, this superb live set includes material that spans the length of his career, including several songs from his recently released Old Friends album. It contains a selection of songs from the five studio albums recorded prior to that date, including "Indian Cowboy" written by Joe Ely.